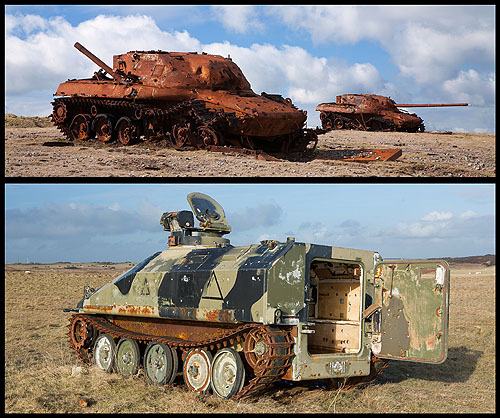 Top Pic - 2 Rusting Tanks (Chieftains?) on the live firing Range West - near Linney Head. Lower Pic - one of 2 tracked armoured personnel carriers (Spartans?) , on Range East near Huntsman's Leap.